Sweet toffee apples are a funfair favourite. 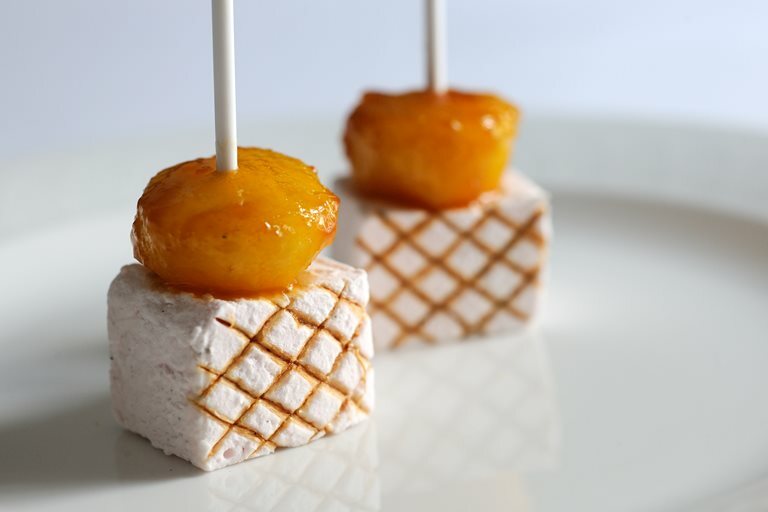 In Paul Ainsworth's toffee apple recipe, he presents a smaller version and pairs the toffee apples with marshmallows. These sweets were part of an array of sweet treats, Taste of the Fairground, created by Paul on the BBC's Great British Menu.